The first reason why I joined this trail run was to have a glimpse of the “new” running playground outside Metro Manila. 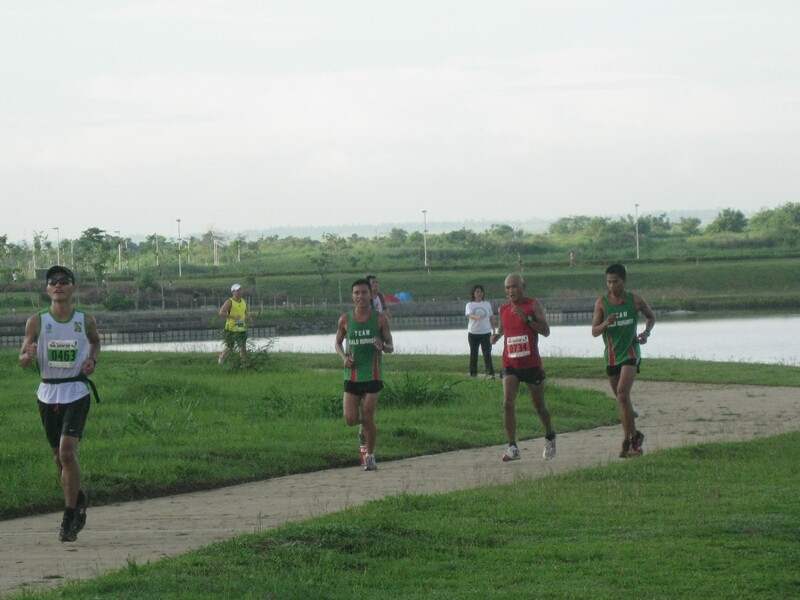 I heard about this trail running course last February 2010 when TNF sponsored a trail run on Valentine’s Day. I opted to register the 15K distance which is the longest distance available. Second reason is that it is a part of my preparation for the incoming MILO Marathon Eliminations on July 4th. I drove all the way to Nuvali with some of my elite athletes who volunteered to pace me for the race and make this run as their workout. We arrived at the area one hour earlier from the scheduled time posted for the runners to be picked-up at Solenad area to the Starting Area. The waiting time was an opportunity to meet other runners, chat with them and pose for some photo-ops. I was happy to see a lot of junior and senior officers of the Philippine Army who had been consistently joining road races as they joined the 15K race. At 5:00 AM, two buses filled with 15K runners were transported to Montecito area which is about 4K away from the Assembly Area and at the same time the Finish Line. At exactly 5:32 AM, the race started and I was at the mid-pack with the intention of trying to follow the faster runners ahead of me as this was my first time to run in the said area. The trail does not compare with the trails of “Brown Mountain” (BM) with regards to elevation and steepness of the trail. 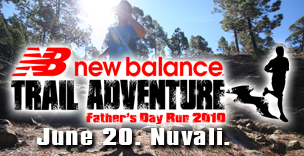 In short, the race is simply a trail run with going down towards a river for a one kilometer of running along its waters and rocks and finally climbing out into a slippery trail towards a leveled area. And the rest was a combination of a dirt road, winding single track trail with cogon grasses on both sides, and some loose soil coming from the erosion brought about by the land developments in the area. The first 500 meters of the race was some sort of a warm-up run for me trying to size up the trail as the dirt road led us to a slippery and single track trail. 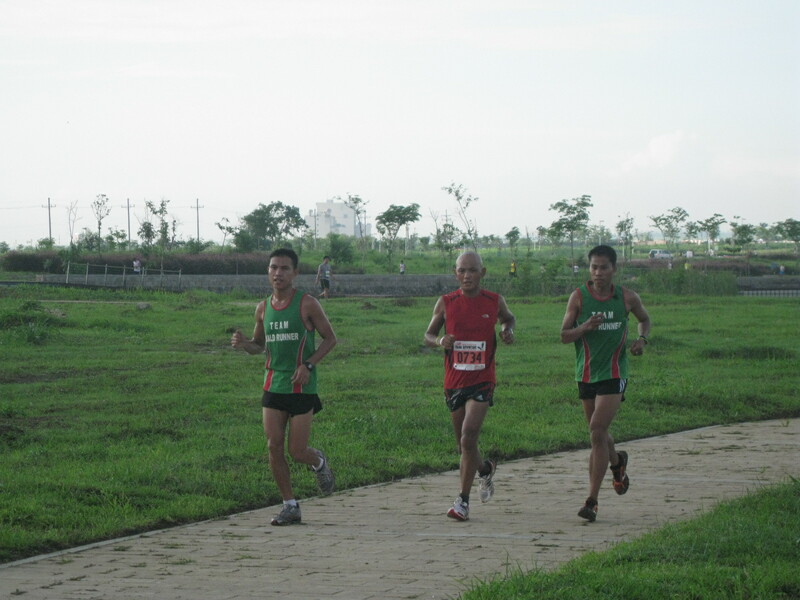 Before I reached the 1 kilometer mark, I started to pick-up my pace by overtaking one runner one at a time. I saw to it that I pass each runner on parts of the trail that are inclined and I started saying the words, “On Your Left” or “On Your Right” to give a warning to the runner ahead of me of my desire to overtake him/her on his/her left or right side. But I guess, most of the runners do not know what I was talking about or they do not know what was my message to them. However, there are also runners who would know what I meant that they immediately give way for me to overtake them. While on the river, I ran with my shoes completely submerged in the water. Practically, I was running with the flow of the river where I was able to pass some runners who opted to tip-toe on rocks on the side or banks of the river. As I went up along a steep trail from the river, I know that my legs and feet have survived those slippery rocks and loose soil on the river and I could feel that there is not much of sand that enetred my wet shoes. I used my Adidas Adizero Mana, which is road racing flat shoes, for this trail run! It is light even when it is wet and the mud that sticks on its soles could be easily removed when I run. Sometimes, my feet tend to slide on muddy parts of the trail but I am glad that the slight tractions on its soles do not accumulate so much mud in them. I could say that this particular Adidas shoes had passed the test for my trail runs even when I do my runs at BM. After the Km 4 point, everything was a slight rolling terrain and I was able to gain my speed. But trying to overtake some runners in a single-track trail who do not know what I meant by “On Your Left/Right” made me break my tempo if they do not give way for me. But I became patient with such runners that I have to overtake them when there is an ample space where I could squeeze in my body. It was repeated again and again as I overtook more runners on the second half of the course. I was wearing very light running shoes and apparel without any hydration belt. I was wearing an Adidas running shorts; The North Face trail shirt; Eddie Bauer gray trail socks; and ingested one Hammer Sports Gel at Km 8 point. There was no problem with the Water Aid Stations as there were enough for everybody and the route marshals were so many as they were located in key parts of the trail. Ribbons, markers, and pointers were placed along the trails, too! There is no reason for any runner to be lost along the trail route! I finished the 15K trail run in 1:30:12 hours (unofficial) based from my GF 305. After passing through the finish line, I was greeted by Neville Manaois, the Race Director, and I congratulated him for a nice route and organized race. I did not stay long as I proceeded to the shower facility to clean up myself before changing to my dry clothes. This is my last tune-up race before the MILO Marathon Eliminations on July 4th and from here my daily routine will be geared towards tapering and mentally preparing myself for the race. See you on July 4th! Congratulations on your 1,000th post! It only gets bigger and better from here! The same can be said in the oval track where fast runners constantly have to shout “First Lane!” at people “walking” in the inner lane. Even during road races where slower runners position themselves on the start of the line only to be pushed and shoved by faster runners. This i do not understand. iah, i wrote something about trail run courtesy in my earlier posts as i’ve experienced during my trail running races & workouts in california. i think the RD should be able to brief the runners about such etiquette or guidelines in trail running before the start of the race or have them printed in their race rules and regulations. thanks! Congrats on your trail run, BR! You even overtook us 10k runners 2kms before the finish and seeing you run, i can imagine you finishing good at the Milo Marathon on Jul 4. Good luck! rene, i think i slowed down on the mid part of the race and tried to speed up my pace when i was running already on the paved walkway. i hope and pray that my training will give me a satisfactory result on july 4th. You are becoming quite the trail runner. Maybe saying “Pass on your left/right” might be more easily understood. Of course you always have those people who turn exactly where you say you are going to pass. You say on your left and they turn left! That is a challenge unique to trail running but it looks like you are getting the hang of it. Patience is key. The Quad Dipsea is my favorite trail race. A race not even 50k long that has about 3000 meters of climbing. Quite technical with lots of roots and rocks. I’ve seen runners take that on with shoes like yours, seems like you are cut from the same cloth. Thank you Sir Jovie for your support on my recent 100-mile run. After the race I spoke to Ben who said he couldn’t quit because he knew the folks back home would be rooting for him. We appreciate the well wishes, especially because they come from half a world away. i missed my runs at the trails of mt wilson, malibu canyon creek, and griffith park. looking at the lead runner of the annual mt wilson race, i saw him wearing a flat NB running/racing shoes. of course, i was always visiting the SD100 website for the live update during race day and you did it with style. congrats to both of you. See you on July 4! It was a great 15k Trail Run! I too went for a “taper” run and just enjoyed the route. It wasn’t really that difficult, though I met a lot of newbie runners doing their first 10k and 15k trail run. All I could do was encourage them and congratulate them on their accomplishment! I know how it feels to push on towards the finish line for a first timer! For a first timer, finishing a 10k or 15k trail is indeed a remarkable achievement! Anyway, here’s hoping to see you eat those “suman” during the Milo Marathon. Makes me think, what hydration and food strategy I will use for the July 4 event? My only goal is to do a sub five hours, and hopefully this time I around I will be able to do it since I am not pacing anybody for the Milo event! blas, thanks for the comment. the 15k trail run was a “diagnostic” run for me. suman would be a nice source of carbo during the MILO run and i will ask my staff to position along the route. see you soon! As usual, very nice race report, i usually join these races – especially trails but decided to opt for long runs prior to M, hoping this will be a better strategy for me, good luck BR. have the same experience at the Macos Stadium when i shout those words. they may be thinking “ana ngata ti ipukpukkaw na daytoy?”. guess we just have to educate them, eh, tio?